Last year when Van Morrison revisited his classic album, Astral Weeks, in select performances across the country, he called to mind one of the most compelling instances in his canon in which the music was borne out of a conviction that even the most unintended note or inflection could yield altogether new inspiration. In his new book, When That Rough God Goes Riding: Listening To Van Morrison, music critic and historian Greil Marcus examines this philosophy as it has manifested throughout the artist's career. “It is at the heart of Morrison’s presence as a singer," Marcus asserts, "that when he lights on certain sounds, certain small moments inside a song…can then suggest whole territories, completed stories, indistinct ceremonies, far outside anything that can be literally traced in the compositions that carry them.” Marcus encapsulates that vocal capacity in a word—adopted from another Irish singer, the late tenor John McCormack, who intended it as a distinguishing vocal trait—which, in turn, informs his assessment. There's a term you reference in the book, the “yarragh,” which seems to be an unreachable, intangible essence. It’s definitely intangible; it’s not unreachable. Because if the book is about anything, it’s about those moments when he does reach that, and some times when he falls short that you can kind of see what he’s aiming at. I’m taking it to mean any moment in a piece of music where the performer breaks through the boundaries of ordinary communication. And you just said something about essence, and that’s really it. You reach a point where you are getting across emotional depth and intensity and completeness that in many cases goes beyond words, any ordinary words, but goes beyond vocal sounds too. Well, in that sentence, sure. Except if it’s about communication, if it’s about breaking the boundaries of communication, you have to have someone to communicate to. And that’s not yourself. In the context of his live performances, you touch on how Morrison can be diffident and aloof with his audiences, yet resonate so profoundly with them. There’s a documentary, From A Whisper To A Scream, about the history of Irish music in which Van Morrison is interviewed on Astral Weeks. While other subjects in the film praise it, Morrison acts like it was just another album: He went to work, made a record, and moved on to something else. 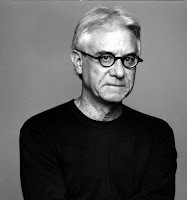 No performer, or no person who does creative work whether it’s a novelist or a singer or film director, actor, wants to be the prisoner of his or her past work. Otherwise you can’t go to anything new with a sense that is new, that you’re going to do something you haven’t done before, [that] you’re going to break through into an area you’ve never been able to reach before. I would think that would be both incredibly tiresome for Van Morrison to always have people tell him, “I love Astral Weeks so much,” or whatever it might be. And then he might say or he might imagine, “Well, did you hear The Healing Game or did you listen to Keep It Simple?” “Oh no, man, I stopped buying records back in 1981.” That’s awful. But music occupies a certain nostalgic position in people’s lives. If you hear a Beatles song or a Rolling Stones song from the ‘60s, that triggers a memory in your mind. You think he looks back like that? He very explicitly looks back. Over the last twenty, twenty-five years in song after song after song [he’s made] nostalgia really the centerpiece in terms both of melodies and rhythm and words of his music. And yet, I think it’s always to get somewhere, to get to the childhood [you] didn’t live; to see the things you didn’t see then; to do the things you didn’t get to do then that you only wished you could. I mean, when you listen to “Behind The Ritual,” which is on his last album of new songs [Keep It Simple], it starts out as simple and kind of puerile nostalgia and it becomes something so much richer. When I hear something that's really powered by its own engine [and not] by whatever associations I might bring to it—say, "Gimme Shelter" by the Rolling Stones, which I hear on the radio every few days and I feel like I have heard it on the radio every few days since it came out—it's like I'm hearing it for the first time. And I'm noticing things I never noticed or some aspect of the song seems primary where before it seemed just like decoration. I don't think it has anything to do with nostalgia. I think it's about somebody responding to something and becoming more of a person because of that experience. When one's reaction is nostalgic or if it triggers a memory or some past association, that reduces whatever it is you're responding to to something like looking in a scrapbook or your old high school yearbook. Like associating a song with your first car. Yeah, whereas we're talking about art. We're talking about the way art moves people and upsets people, makes them feel fulfilled and glad to be alive or whatever it might do. Which means that it can never really be controlled. It can never really be fixed. And I think Van Morrison has made so much unstable music that that kind of thing can happen in so many different places in any stage of his career. Having attended Morrison’s Astral Weeks concert in Berkley, were you compelled to measure the performance to the album? Or did you just take it for a concert? No, what I wanted was for the songs to come alive in a way that they didn't on the album, [to] take a different shape. In other words, to play these songs as opposed to playing the album. And they played the album. So it was a replication, really, or as close as they could come. There weren't any moments of surprise or spontaneity. And in that sense it was really disappointing… I saw him in early '69 in San Francisco at the Avalon Ballroom. He was playing with just two other musicians, a bass player and a flute and saxophone player. He did all of Astral Weeks that night, not the order of the songs they appeared in, which he didn't do last year either. And there wasn't any question that he was still lost in that music. It was not a closed book to him at all. I remember that in some ways more vividly than the show just last year. Given how you describe Morrison in the book, do you see any comparable artist? The one that comes to mind is Neil Young. I don't know what he meant—Neil Young at that time was one of the old guys—but he was saying, "All these old guys, they don't know what this is. They don't understand it. When you play that kind of music, there's no feeling like it anywhere." And he's saying, "I play this music in order to feel myself emotionally respond to the sounds that I'm creating. I'm my own listener." What a wonderful thing. Now whether Van Morrison is his own listener in the same way, probably not. But they're both people who can be enormously frustrating in terms of making tiresome music, making albums that you never want to listen all the way through let alone ever play again, but that you can't ever write off. You have no idea what they're going to come up with. Of the general observation you make in the book, that there are elements at work in Morrison’s music that aren't necessarily charted note for note—that some things just happen—do you think he perceives what he does as having that much to do with chance? Because he's extremely talented. I can't speak for him. I did find something he said in an interview very revelatory where he said something like, "The only time I'm really concentrating on the words is when I am writing them. But after that, when it comes time to sing the song, I release the words. And the words go out and they do what they want. Sometimes it's me chasing them or it's not up to me how they are going to arrange themselves." So if it's not exactly chance—and God knows there are enough horn arrangements in his music. There are arrangements. There are charts. They've been structured. They've been given to the musicians—then it is an openness to surprise, to spontaneity, to letting a piece of music go somewhere that you didn't intend. I've always been interested in music as event, as the record is something that actually happened as opposed to something that you really could do seventeen takes on and most people wouldn't notice the difference between them but the musicians can tell when one's a little better than the other. I always think of the Rolling Stones' "Going Home," which is on Aftermath. The story always was that they had this song called "Going Home" and the first two-and-a-half minutes or so are Mick Jagger singing about going home. It's actually kind of dull. Then at the point where the song would be faded out, somebody finds something interesting in the rhythm and keeps playing. And they start to fool around with the rhythm. And the story was Charlie Watts, knowing that the song was over, got up from behind his drum kit and started walking out of the studio while everybody else was still playing. And somebody yelled at him, "Get back there!" I don't know if that story's true or not, but I love the story. And of course they go on for another, what is it, nine minutes or something like that in one of the most extraordinary things they ever did, and something they never have been able to or maybe never even tried [again]. They didn’t record it again; they've never played it live. It was something that happened. It was when they discovered themselves as musicians. Now that kind of event for the Rolling Stones is very unusual. 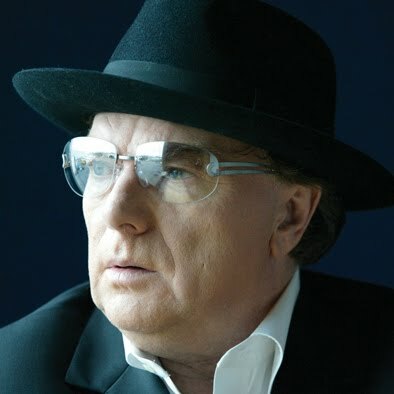 For Van Morrison, you hear that kind of event all through his music, over and over and over. How much credence do you give to Morrison’s talent, though, as opposed to something magical that happens? There has to be a baseline of talent to even have the possibility for magic to happen. Well, I think his talent, at its deepest, is for opening up a feel where magic can happen. That's his talent. People who don't have any special talent, who really do just go through the motions or who have developed a product that market-research surveys have shown people will buy over the long term—and a lot of bands and a lot of performers really do work that way—don't have that kind of talent. Most of us probably don't. But I think he does. 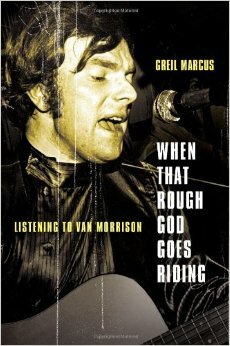 When That Rough God Goes Riding: Listening To Van Morrison by Greil Marcus is published by Public Affairs™, a member of the Perseus Books Group, 2010.